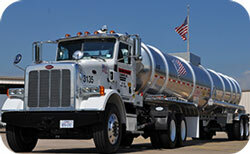 Mission Petroleum Carriers, Inc is a bulk commodity transport company based in Houston, Texas. Mission operates throughout Texas and surrounding states. Mission’s primary focus is transportation of gasoline and diesel fuels and gathering and transportation of crude oil. Founded in 1965 by Tom E. Turner, Sr., Mission Petroleum Carriers, Inc. is a privately held common /contract carrier specializing in the transportation of products in bulk. Mission operates terminals and satellite facilities throughout Texas and surrounding states. Mission employs the processes of a documented quality program throughout its entire organization. Our paramount objective of on time pick-up and delivery service revolves around the safe and responsible handling of our customer’s products. This superior level service is only achieved through implementation of extensive safety procedures and continual training of all members that wear the Mission uniform. The staff of Mission Petroleum Carriers are trained professionals who strive to enhance the performance of our customers and elevate industry standards.